Two days before I have posted about the scam mails of Paypal which redirects to fake phishing page of Paypal.com, and now again hackers are trying with the same kind of activity. This time have are targeting Facebook, and targeting Facebook is not a new thing. This is the common things that hackers are targeting the Facebook users to make victim of themselves, but everytime researcher come across to this scams. A well known Malware analysis firm "Trend Micro's ", researcher have come acrossed with the new Malware which is name as "TSPY_MINOCDO.A". 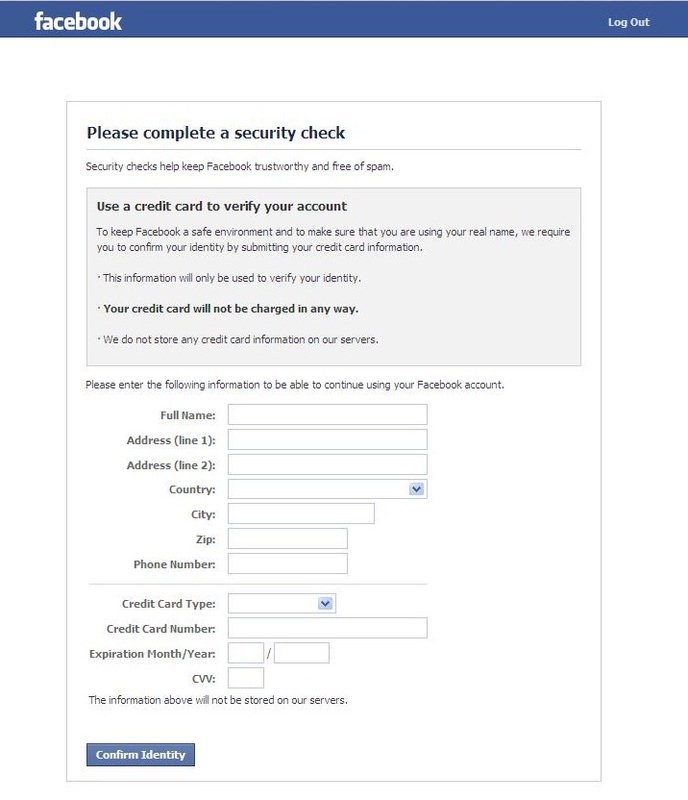 This Malware modify local HOST files and monitor browser activity, which in turns redirects the victim to fake Facebook security check page. Trend Micro has posted on its blog post about this Malware. According to Trends Micro they says that, this Malware automatically gets executed when ever the system starts and waits till the users visits facebook.com or www.facebook.com. 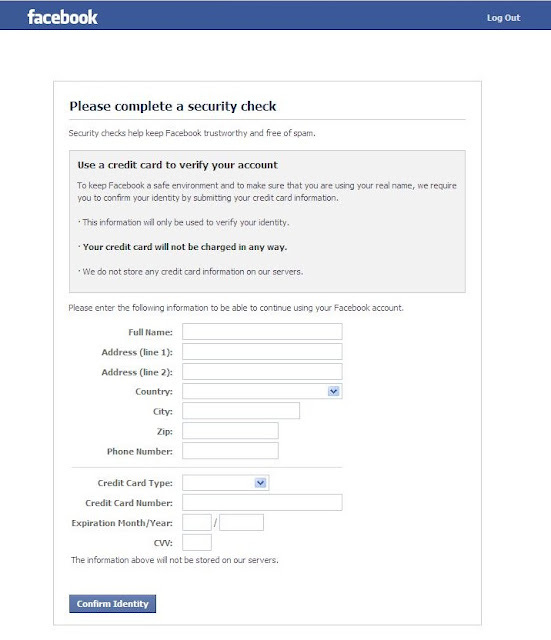 When one of the addresses is detected, victims are redirected to a page which informs them that “Security checks help keep Facebook trustworthy and free of spam. 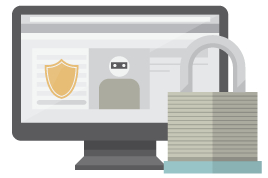 The redirects security page request for all the details of the users. This Malware is so well designed that victims can't even get that they get hijacked. Attacker have designed coded the Malware to perform DNS queries to several domain names associated with the phishing site.. If you get redirects to the some of this page then you are one of the victim. So run the updated antivirus and anti Malware programs.